DRESS: H&M in stores now and only $59.99!! As the summer kicks into full gear its hard to say no to day drinking into the night ;) As a self-diagnosed skinny fat, drinking doesn't make me gain weight, it makes me gain cellulite. So whether you are a cellulite collector or fat collector, I've concocted a few "skinny summer drinks" just for you! THE BLENDER: I recommend investing in a mini blender and not just for your alcoholic side, but for your health. A quick smoothie for any meal or inbetween meals has been a great way for me to get the nutrients I need quickly, deliciously and easily. I joined the health kick about 3 years ago and I am by no means perfect but the NutriBullet helps me get back on the band-wagon when I've fallen off and all I can see are red meats, fried foods and candy. PROSECCO or CHAMPAGNE LOVER? So am I! I used to get so confused because I would either wake up with a throbbing headache or wake up feeling great. The key to drinking Prosecco or Champagne is that is has to be "Ultra Brut" which means "No Added Sugar". WINE LOVER? Always go with the organic because it has no added chemicals which makes it less harmful to your body and less harmful to your hangover! Always go organic if your wallet can! For white/rose you can always add soda water to make it a spritzer - This is a great option because you get drunk slower but beware of the need to pee! If you are going the liquor route, always go clear and use water or soda water as a mixer as it is hydrating and sugarless. The best mixers are fresh fruits because they are healthier and all natural sugars. See below for some of my skinny summer concoctions! Ice: I always leave a few glasses in the freezer so that whenever I am craving a cocktail I have an ice cold glass to enjoy it with. Either way, add ice because everything is better cold. 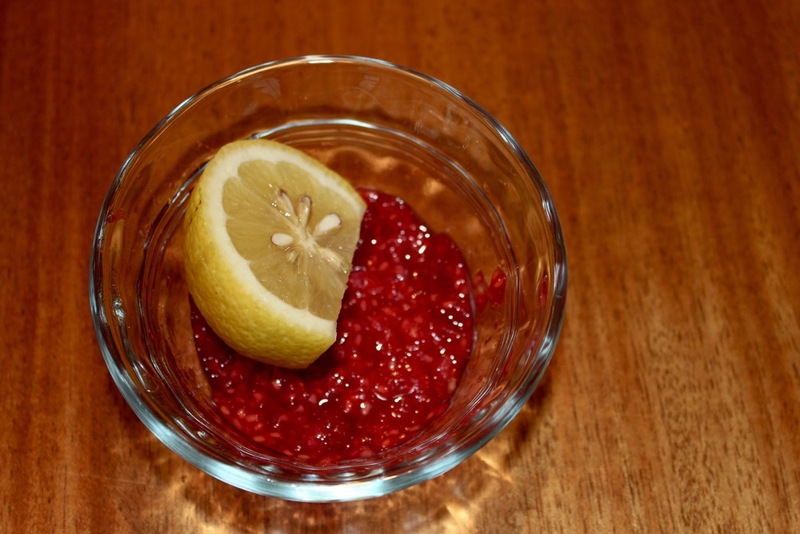 Muddled Raspberries: To do this just use the back of a spoon and mash the raspberries until they are soupy. As you do this, continuously add lemon juice. Lemon: You should use a total of a half of a lemon per drink, 1/4 will be used to drizzle lemon juice intermittently throughout the muddling process. The other 1/4 will be used at the end and drizzled of the final drink before the final stir. Pedialyte: Weird, I know. But just try it - you will never go back. Not only does it cut the taste of the vodka, it is super hydrating. Again, match the flavor to your soda water and vodka. I highly recommend Cherry Punch, Strawberry (the sweetest) or mixed fruit. Tequila or Vodka: This is completely a preference thing but I much prefer Tequila. I think the drunk is more fun and so is the hangover. The sugars in tequila are simple sugars, which means they break down more easily. But make sure it is 100% agave, otherwise none of this applies! Muddled/Slightly Blended Grapefruit: Obviously you can just do grapefruit juice but it has more sugar and doesn't taste as good! Muddled/Slightly Blended Fruit of Your Choice: My recommendations are blueberries, raspberries, strawberries, Pineapple or Mango. I hope you enjoy these skinny summer cocktails as much as I do. If you have any other skinny cocktail ideas, send them my way!